Reuse means to use something again and again rather than only once. The goal of reuse is to keep using items as long as they have a function or value. 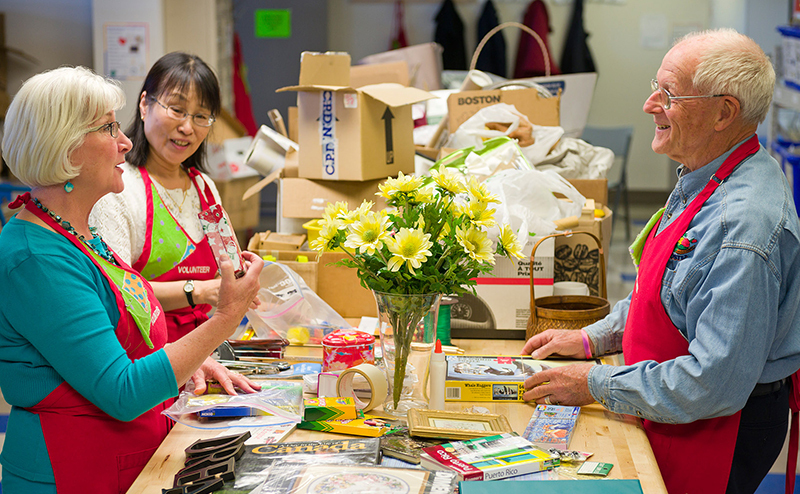 Reuse Areas make various items dropped off at Eco Stations available to individuals for reuse. Items brought into the Eco Station for disposal that are deemed to be in good condition and reusable will be set out in the Reuse Area for a limited time for pickup. Examples include furniture, appliances and electronics (televisions, stereos, and computer peripherals). Computers are not available due to privacy issues. The maximum vehicle size allowed in Eco Stations is one tonne. The maximum trailer length allowed in Eco Stations is three metres. There is no charge to take away items from the Reuse Area and customers do not have to drop off items to take away items from the Reuse Area. The City of Edmonton does not guarantee any items. Residents are responsible for what they decide to take home. Charges may apply to certain items dropped off for disposal that are deemed suitable for set out in the Reuse Area. Please note: there are no Reuse Areas located at Coronation Eco Station or Strathcona Eco Station. Eco Stations have Recycle Depots on site where you can take recyclable items such as paper, boxes, cardboard, plastic bags, containers, cans and bottles. Residents can drop donations for the Reuse Centre at Eco Stations free of charge. Please check the acceptable items list. Eco Stations have clothing donation bins on site. Bagged compost is no longer available at Eco Stations. Check out this listing to locate a retailer carrying Second Nature® horticulture compost and blended topsoil (garden mix) near you. Free Mulch is available at the Ambleside and Kennedale Eco Stations. Usable paint donated by other residents is offered to customers free of charge (limit 4 cans per visit - quality not guaranteed). Since 1995 over 350,000 litres of free paint has been given away. List of Edmonton non-profit organizations that accept donations. Learn how you can help protect the North Saskatchewan River. Edmonton is a world leader in waste management because of residents' commitment to reducing, reusing, and recycling.